I show you how to stop procrastinating in 5 simple, no-BS steps. Stop waiting for motivation to strike and take action today. So…you’re reading an article about how to stop procrastinating instead of doing what you’re supposed to be doing. That’s okay. I’m not going to lecture you to finish your goals and I definitely won’t act like I haven’t been there before. What I am going to do is show you the EXACT steps you can take to demolish procrastination. Let’s not waste any more time and jump into it. FRIEND: Hey, do you want to check out that new bar tonight? FRIEND: I’m going to take that improv class you said you were interested in. Want to join? YOU: Ugh sorry, I don’t have enough time right now. We LOVE using “time” as an excuse because it’s easy. Who is going to accuse you of having too much time on your hands? Nobody. When we make this excuse, however, we only cheat ourselves. Instead, it’s better to be honest with yourself and others and say, “I appreciate the offer, but that’s just not a priority for me right now.” Doing this forces you to confront the lies you often tell yourself — and helps you recognize what is important to you … and what isn’t. Plus, who would you admire more? The person who says, “I don’t have enough time” and doesn’t show up to anything, or the person who tells you, “I appreciate the offer but that’s just not one of my priorities right now”? OF COURSE it’s the person who is honest with you. Once you start recognizing what is NOT a priority, you’ll start recognizing things that ARE. ACTION STEP: Be honest and evaluate your priorities. To do this, keep track of the goals you make for this month. Record them with a Word doc, pen and paper, Excel, whatever. Then put them in a drawer and set a calendar alert for the last day of the month. If you say that you’re going to wake up every day at 7 a.m., but every morning just slap the snooze button until it’s 8 a.m…you’re NOT going to wake up at 7 a.m. If you claim you’re going to make your bed every morning, but have a huge project at work and haven’t worked on it in the last three weeks, guess what? You’re NOT going to make your bed every morning while you have this crazy project. Are you actually headed to the gym 3x/week like you said you would? Keep DOING IT. This takes a lot of self-awareness because you have to be ruthlessly honest about your strengths and weaknesses. But by looking at your past behavior, you can drastically change your future behavior for the better. How often have you talked to a friend about working out, saving money, or studying for school, and heard them say something like, “Yeah, I know I really should be doing that but…” followed by some lame excuse as to why they’re procrastinating on something important? Why does this happen? Guilt. Plain and simple. It’s the reason why we brush things off with meaningless excuses and run away from the actual issue. If you truly want to stop procrastinating and become a productivity machine, you need to hold yourself accountable. ACTION STEP: Don’t run away from your guilt. When you do feel guilty, take these four steps to address it. This technique comes from a Japanese industrialist named Sakichi Toyoda. He developed the method to find solutions at the root of recurring issues related to his manufacturing plant and helped blow up his company into a household name — you might have heard of it: Toyota Motors. See what happened? In less than five whys, we figured out how to begin solving this HUGE issue with just one step: taking the time to find a book. Now this person knows the first step to getting started with his investments. Take everything from steps one and two and write it all down — your guilt, each of the whys you asked, and how you can solve everything. This will help you get a clear understanding of how your mind works when it comes to guilt and problem-solving. That’s right — this is Ramit-approved procrastination. Once you write everything down, I want you to step back and give it some space. You want to know how to stop procrastinating? It’s not by trying to do everything at once. Because we’re HUMANS — and as humans we are naturally cognitive misers and have limited willpower. Just doing the five whys and investigating your guilt takes a lot — so just pick it up later when you’re fresh and ready to take action. I suggest setting aside some time in a day or two so you don’t keep pushing it off. NOTE: This system comes from our course Success Triggers. To find more proven systems that can help you build winning habits, follow this link. It’s amazing how often we shoot ourselves in the foot before we can even get started. I actually got sharp with him. My friend didn’t realize that the way he described himself became a self-fulfilling prophecy. And guess what? That became my reality for YEARS. …could have been my reality much sooner. ACTION STEP: Reframe the way you talk about yourself. Quit hiding behind BS-descriptions of yourself as reasons for why you don’t do things. Motivation is undependable. Waiting for motivation to fall from the sky so you can accomplish your goals is a good way to never get anything done. Why? Because THAT WON’T HAPPEN. You can’t wait for your “muse” or “inspiration” to strike. You need to build the right systems instead. If you asked either of the above people, “What are your steps to accomplish those goals?” they would have no idea how to answer you. That’s because it’s hard. It’s not as appealing as waiting for motivation to strike. However, it’s a better approach. And I’m not talking about high-level things like “determination” or “teamwork” or whatever else you find on motivational posters. I’m talking about concrete steps to get there. That will help you develop a solid system for accomplishing your goals. ACTION STEP: Break down your goal into smaller steps. Let’s take a look at a bad goal and compare it with a good one. This goal is TERRIBLE. How many million Americans have told themselves this and gotten nowhere? This is because it’s vague. There’s no concrete action to it. There’s not even a way to know when you’ve accomplished the goal. Now let’s take a look at a better way to approach it. LOVE IT. Notice how I’m focused on the process first by starting off small with three healthy meals a week. Also, it’s only 15 minutes at the gym. ANYONE can do that. Over time, you can scale upwards. Maybe start eating a healthy meal every day. Start hitting the gym a little bit longer each time you go. Before you know it, your waistline is smaller and you have some muscles to show for it. Do this with your own goals. Maybe you want to get a new job? Start by applying for one job a week. Maybe you want a scholarship for school? Start by simply checking out a scholarship book at a library. These small steps will lead to BIG results. And when you’re making these systems, I suggest putting it all on a Google Calendar. I do this with ALL of my goals. This is a random to-do that I would normally put in the back of my head… and it would never get done. Instead, I added it to my calendar so it always gets done. If it’s not on my calendar, IT DOESN’T EXIST. Did you know that eating more chocolate can actually help you exercise more? According to habit expert Charles Duhigg, rewarding yourself after a job well done can help create powerful shifts in your mindset. And he would know. 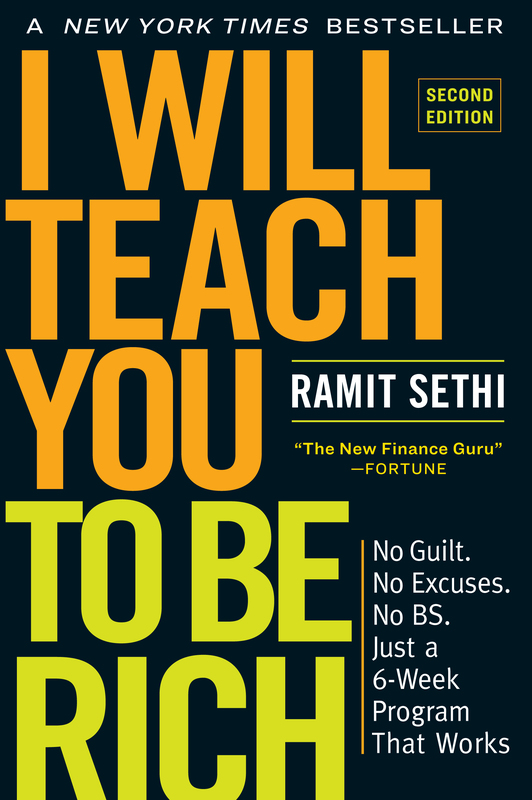 He literally wrote the book on the subject with The Power of Habit (one of my favorite books on behavior). Something like eating chocolate at the end of a workout, for example, is a simple way to ignite the reward centers in your brain and cement the good feelings that are required for a habit to take root. A while back, I was able to sit down with Charles and talk to him about the importance rewards play in helping habits stick. Every 25 minutes of deep work you do, give yourself a five-minute break to do whatever you want (aka the Pomodoro Technique). After you hit a savings goal for the month, buy yourself something you want like a pair of shoes or a video game. After you cook a healthy meal, take in a few episodes of that Netflix show you’ve been meaning to check out. The reward can be anything you want — as long as you genuinely enjoy it. Truth #1: We all have the same amount of time in the day — so STOP BLAMING TIME (or your lack thereof). It doesn’t matter if you’re Bill Gates or a busy parent. You just need to learn how to manage your time better (more on that later). Truth #2: You don’t have to be an emotionless robot in order to stop procrastinating. Focus and time management are about mindsets and simple — yet powerful — shifts in how you approach your to-dos. By adopting the right mindsets, you can create habits that stick instead of struggling to get the simplest of tasks done. That’s why I put together the very best material on setting goals, creating habits that stick, riding motivational waves, and getting back on track if you ever fall off.